Let’s get this straight now, adding a random word that you think people will like to the word Vegas is not a guaranteed way to produce a successful casino site. I’ve said this before, and it feels like something that shouldn’t need pointing out, but clearly there are still people who have not got the hint, otherwise this basic and see-through equation would not still be being used to try and increase the popularity of a new site. I get that Vegas is a place where lots of casinos exist, I do, and that’s lovely, by all means reference it if you can do so contextually, but when the word before Vegas has nothing to do with Vegas, and with the site itself, then it just looks silly. What this means is that a site like Fruity Vegas really needs to work hard to prove it’s not just another one of these paint-by-numbers site, and is instead something that does things differently. Unfortunately, from the outset it does not really appear that this is the case, as Fruity Vegas comes from the people who bring you the popular site Winzino, and the format is pretty much the same here. That’s another thing people need to stop doing, just because one of your sites is successful, doesn’t mean that cloning it will double your success, it is patronising to the online casino playing community to assume that it will. If you’ve never been to Winzino, then you might be impressed with how Fruity Vegas looks. The backdrop is a blurry vision of slot machines, one assumes in Vegas (because of the name, right?) but there’s nothing in the picture to confirm that it isn’t in Abu Dhabi, or Skegness, or anywhere else that has slot machines really. The main colour scheme here is black and red, clearly to try and bring a feeling of class and decadence to the whole site, which works, to be fair. The logo is also pretty fun, the word Fruity looks, well Fruity, and the word Vegas looks exactly like it should. However, this is the only part of the design here that seems to have anything to do with the Fruity part of the title, and, to a certain degree, with the Vegas part as well. Navigation’s pretty good here, there is a sufficient number of sub-categories to easily find what you’re looking for, without there being too many so as to confuse matters, and that’s definitely a positive. All in all, Fruity Vegas doesn’t look bad, it just isn’t anything to write home about. When your design is somewhat average, you need an impressive games portfolio to level things out a bit, and this starts with a wide range of software providers. With titles on offer from the likes of Aristocrat Gaming, IGT Interactive, Nektan, NetEnt, NextGen Gaming, NYX Gaming, Realistic Games, SG Gaming, and Williams Interactive, Fruity Vegas offers exactly that. Aiming primarily at the mobile market means that Fruity Vegas has one of the best selections of games that mobile and tablet players are likely to find anywhere. The main choice here is primarily for slots lovers, but there is so much choice that you’ll forgive the lack of other gaming options. Whether you’re after new games, classic games, well-known games, or diamonds in the rough, you’re going to find them all here. 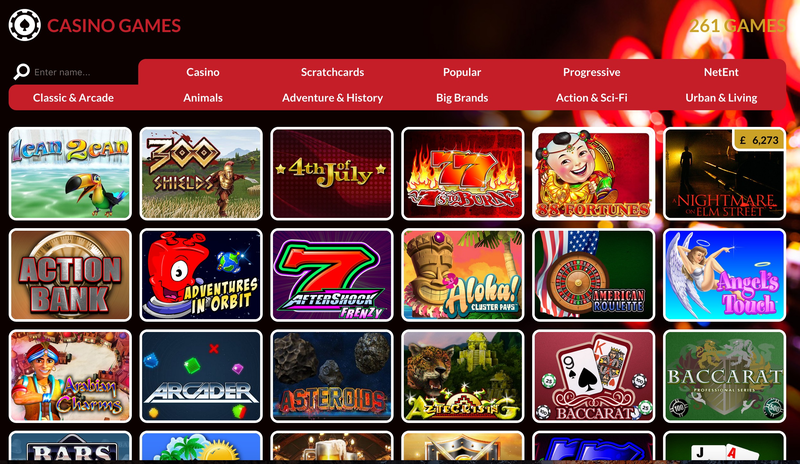 The site may look pretty predictable, and the name may be annoying, but for mobile players, there are few, if any better options for gaming options than you’ll find at Fruity Vegas.